As more and more consumer drones, UAV opportunities we see in the sky are more and more, the use of drones and operations are becoming more simple and easy. But it also brought a very serious problem, these unmanned aerial vehicles will not only bring to our lives, and may even cause harm to our bodies. Security, which is Fleye UAV is designed to build on the main reason. 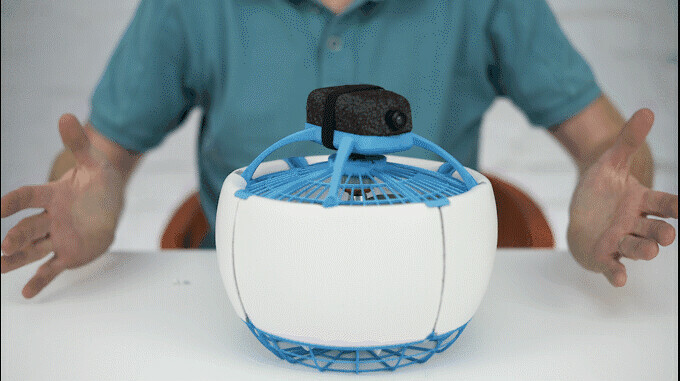 The drone of propellers and all moving parts have been hidden inside a spherical shell! 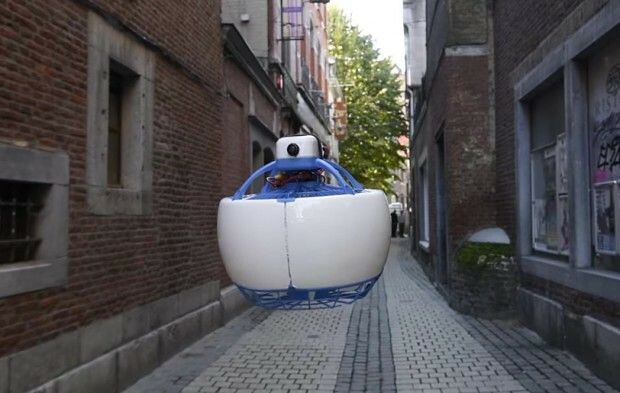 Yes, at first glance you see Fleye drones, you won't be as shocked by the appearance of the rice cooker (cooker flew in the air, make your own brain fill the screen), or you will be dumped by the appearance of it sprouting (round appearance from a certain perspective, really cute). Sensor help, Fleye, when it is close to someone, you can safely touch it, without fear of being injured. This design also helps Fleye remained stable in the air, it has three automatic modes to choose from, namely the self-timer mode, Panorama mode and hover mode. Of course, if you have confidence in the operation of your own, you can also manually by application to control its flight. In addition to ease of use and security outside, Fleye also runs Linux, supports Yocto OpenCV (cross-platform computer vision library), it also allows us to rely on computer vision library procedures. Fleye also has a remote API and software development kit, the Kit supports Node.js,iOS,Android,Python. Finally, the company also launched the level is different from the consumer version of the developer version, this version of the drone more outstanding performances. Want the drone? 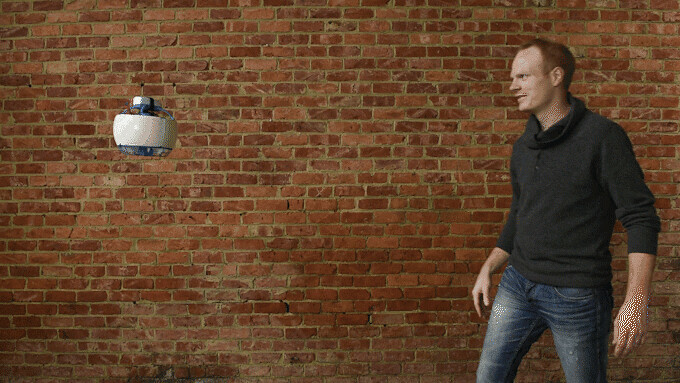 Fleye is now on Kickstarter to raise if you want it, you need to pay the cost of at least $ 740.